The Evenflo Tribute LX Convertible Car Seat includes all the basics of a good car seat at a reasonable price tag. Additionally, it has the added bonus of being compactly sized, which makes it compatible with most car sizes and airplane seats. As it is a convertible car seat, the Evenflo Tribute LX is rated for children from 5 to 40 pounds. The seat has two positions, front and rear facing, which accommodates for growing children’s safety. Unlike some mid to low price rang seats, the Evenflo Tribute LX also has good padding on the seat itself and is comfortable for kids for longer periods of time. The shoulder straps, however, can cause irritation against the neck. Overall, for its category, the Evenflo Tribute LX provides a good combination of value and practicality. Its light-weight status can be especially appealing to frequent travelers. Although it does not have as many features as some convertible car seats, the Evenflo Tribute LX comes with everything necessary for a safe car seat. As it is side impact rated and has good overall seat padding, it is a great value compared to other seats in its class. While the Evenflo Tribute LX promises to accommodate children from 5 to 40 pounds, the seat suffers from trying to do too much at once. While the front-facing position works well, the rear-facing position does not sit at the correct angle for infants. One of the biggest draws of this seat is its portability. For frequent travelers, it is an especially good buy as it fits in airplane seats easily and safely. Another bonus of its small, light-weight size is that you can fit multiple car seats in the rear seat of most vehicles. This is a great bonus for families with multiple children. One alternative to the Evenflo Tribute LX is the Graco Classic Ride 50 convertible car seat. One nice feature about the Classic Ride 50 is that it is rated for children up to 50 pounds, so your child can stay in the same seat for a little longer. Whereas the Tribute LX is extremely portable at only about 9 pounds, the Classic Ride 50 is a bit more cumbersome. It weighs 16 pounds, but that make it a bit more substantial than the Tribute LX in the long run. Another solid alternative is the Safety 1st Continuum 3-in-1 car seat. Where it has both alternatives beat is in its weight ratings: it accommodates children up to 80 pounds. That feature does make the seat weigh in at over 18 pounds, though. The other downside of this seat is that it is a bit more difficult to install. It does come equipped with a LATCH system, but it is still a two person installation project for sure. Overall, the Evenflo Tribute LX convertible car seat is a great value for its standard features. 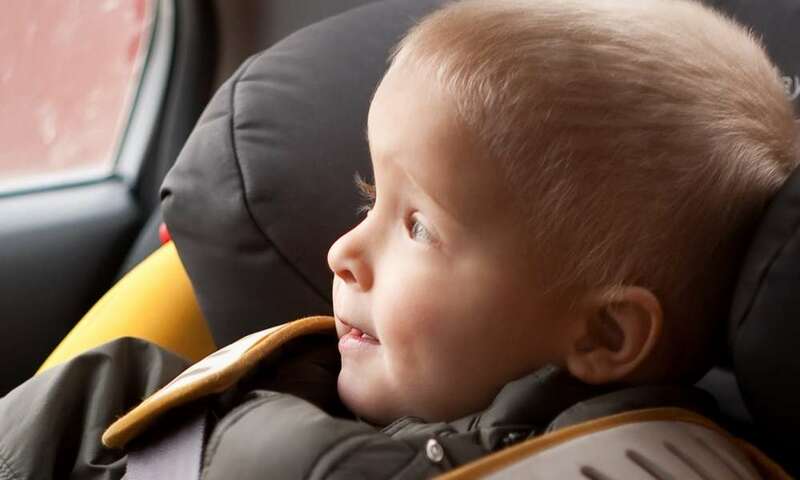 It provides all the basic necessities of a good car seat without being too complicated. Its size and weight make it a viable option for families with multiple children as two or three of these seats can fit in the backseat of an average vehicle. It also has the added bonus of being relatively inexpensive and highly safety rated. Perhaps the most appealing aspect of the seat is its portability and weight. It makes an excellent choice for travelers with children as it is lightweight and easy to install in airplanes. The Evenflo Tribute LX has many of the best features of the more expensive Evenflo car seats while still maintaining its lower price tag. This makes the seat a great option, especially if you are looking for a seat that works for travel as well as regular cars.